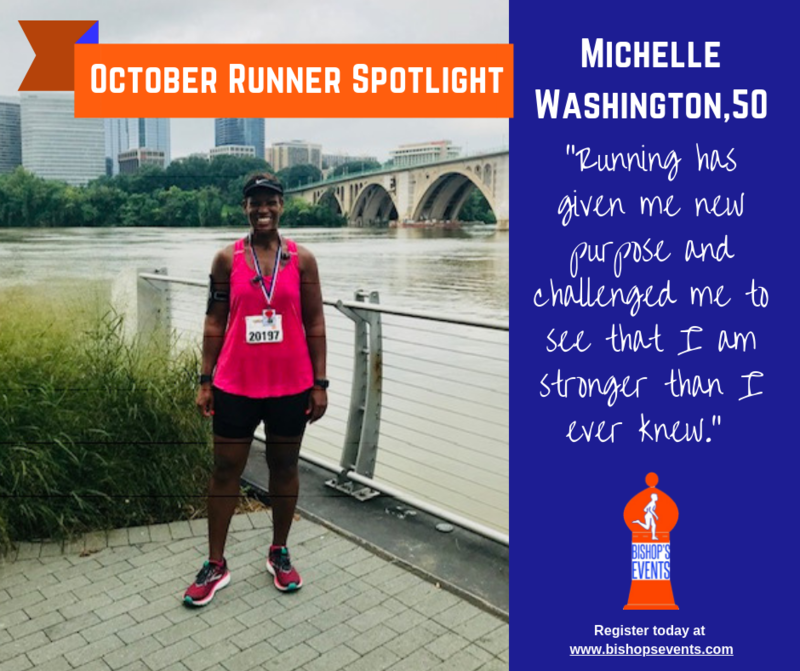 Michelle recently started running in October of 2017, just 6 months before celebrating her 50th birthday. She confesses that she’s been addicted to running “ever since I felt the runner’s high when I ran a mile without stopping for the first time.” Since April of this year alone, she has competed in upwards of 23 races, 13 of which were with Bishop’s Events. She says she keeps coming back to our events thanks to “the combination of camaraderie and competition, the series standings incentives and not to mention the I’ve done very well in the 50-59 age division.” Though she’s only been running for a short time, she says “running has given me new purpose and challenged me to see that I am stronger than I ever knew.” Michelle’s most memorable running accomplishment come this August when she completed the HAP Crim 10-mile race in her hometown of Flint, Michigan. She plans to keep on running, and to hopefully compete in her dream race – a 10k or 15k in the Caribbean. 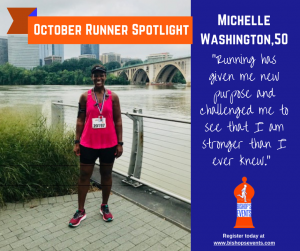 We love being a part of Michelle’s running journey and can’t wait to see how she continues to flourish.